The classic "Bazinga" understatement of the decade. When you're on top and everyone's not quite at your level: "Bazinga!". When you're right even when others doubted you: "Bazinga!" There are so many Bazingas to be claimed. 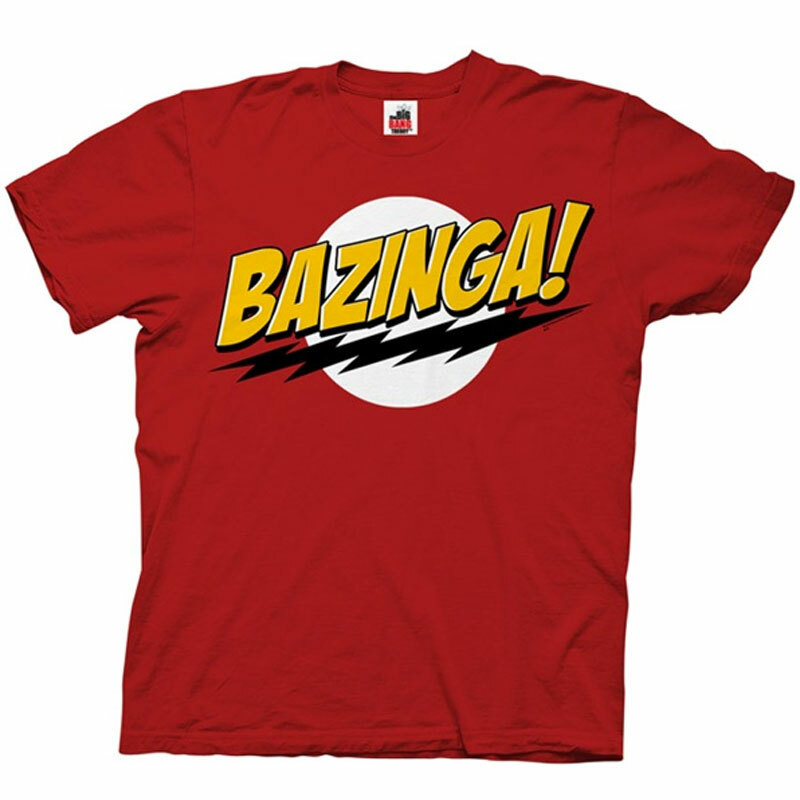 This awesome T-Shirt made famous by The Big Bang Theory has everyone acting a little more geeky these days. As they say: "Geek is the new black... Bazinga!" Feature: - 100% cotton, screen printed. Dark red. Unisex.